Show your photos to the world? Help EDGA to achieve 2019 holes pledged. 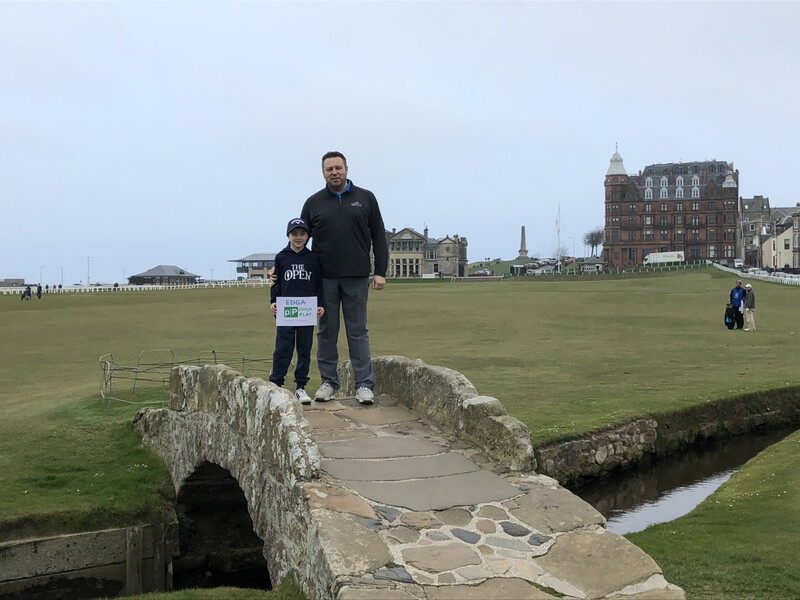 EDGA is proud to have had so many players, friends and officials take part in our pledge&PLAY initiative in support of the first ever 'Golf and Health Week' and the feedback we have received from our ‘pledgers’ has been terrific. 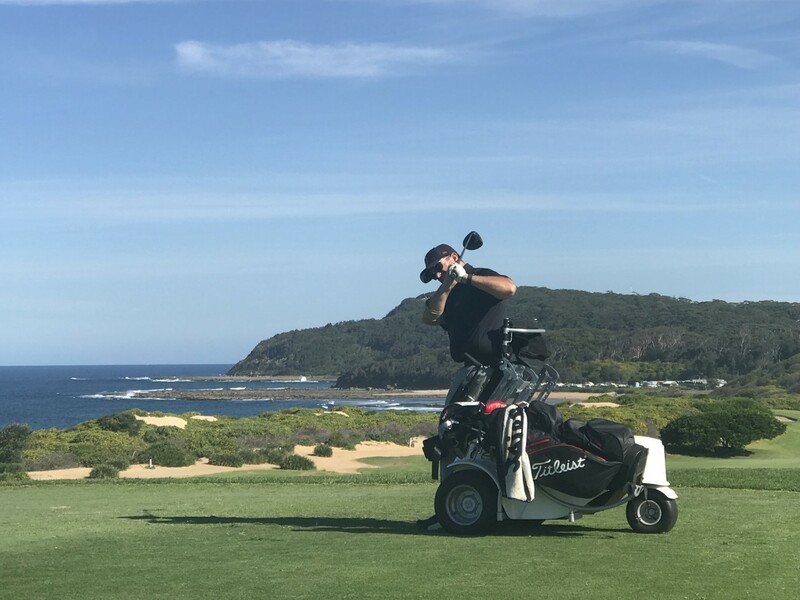 Coordinated by The R&A, several health-related themes were promoted during the campaign week with April the 17th being dedicated to golf for the disabled. Several themes are consistently mentioned in the comments received, Golf is fun, players feel better for being out in the fresh air and moving, sharing time with friends on the course is good, and the sense of community that brings people together. Some players have added photos, and the number of steps they have taken, so if you are still to confirm the number of holes played then please record your holes on this page. We will randomly select one or more hole numbers out of the entries, and reward golfers who played those actual holes with a token of our appreciation. So please revisit this page on or after the 30th of April when we will announce the prize winners. 18 holes till the sunset, brain washed, soul happy, body nicely tired. Great few holes after work on [finally] a sunny evening! 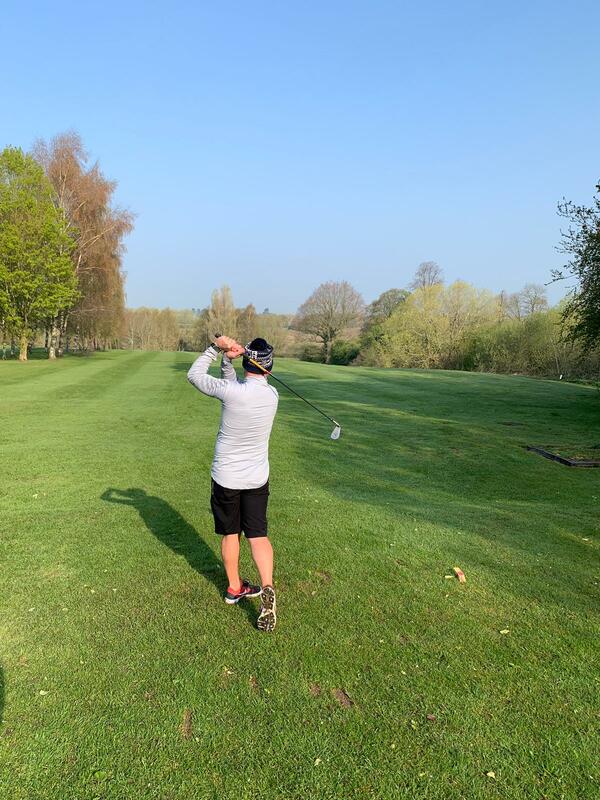 It was a lovely quite round of golf, used a buggy, played not so well, but had a very nice flight and played also good holes...and had a convenient feeling about a lot of strokes I played. It was not brilliant as we had (cold) showers and slow play, but we did it. It was a fantastic way to start the day. Teed off at 07:00 with nobody else on the course. Played the front 9 plus the 18th and still in the office by 08:40. Enjoyed it so much that it will be a regular fixture throughout the spring, summer & autumn months. Great day in the WAGs roll - up from 11:30. Lovely weather with 18.5 degrees high. Course full partly due to a certain Tiger and his great win at The Masters. I partnered Alan Hall playing against Sean Curry and Andy How. Alan and myself were 5 up at one point but managed to lose 1 down on the final hole. Quite a game. Great to get out in the fresh air after a long winter and looking forward to more golf now Spring has arrived. In a beautiful sunny day I played with my friend. Had a great day playing with friends and another amp...sun shine..light breeze..all was good with our world. First out, cold and grey but lovely to be able to play 10 holes and drive to work and be in the office before 8.30am. Great start to the day! Picture 1 is the start with my wife. The other Pictures are from our round. With Irene and Roland on the first nine and with our clubmanager on the second nine. We had fantastic weather and a great time togehter. I had a really nice 18 holes with a friend in the NI sunshine. Played quite nicely as well which was a bonus. I played 9 holes with my best friend. Wonderful weather and a lot of fun till sunset! Challenge. Loved it. With the kids. My son, Matthew and I had a great time playing 9 holes together in support of this great cause. A wonderful day like any day that Farpleg has to move in the green spaces. And enjoy every moment. It was ok, we had a beautiful day, with nice players and a good weather. My play was good enough. Wake up call at 6,30am in order to play my pledge, take a quick shower and run to my studio just in time for a recording... Today was a bit like Tetris but i feel alive and happy! Great course with wonderful views over the Moray Firth. No dolphins but my dog loved the water! First round of the year in Finland after long winter. And sun is shining! Played with fellow amputee David Hendren and scored a cracking 40 stableford points. Enjoyed it very much: sunny day, en enjoyed my buggy/cart, making it possible form me to play golf! Very hard rainy day... well done. 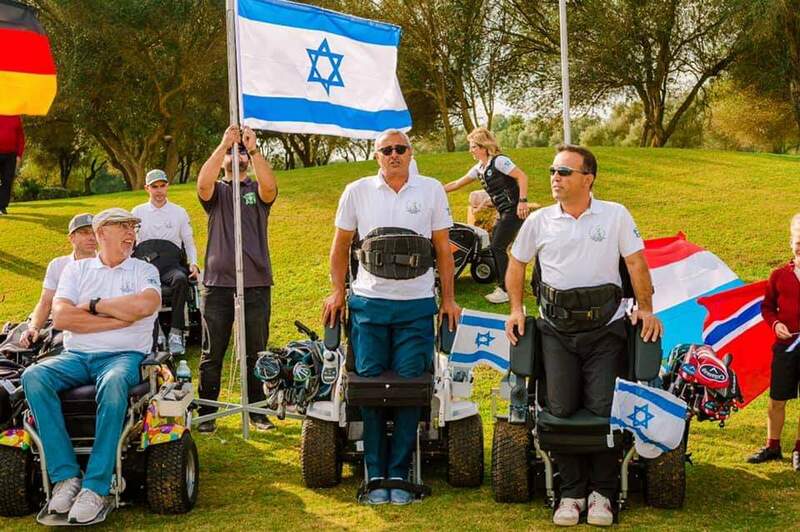 We are pleased to support a wonderful golf promotion initiative European Disabled Golf Association and The R&A, and help to reach the target of 2019 holes for raising awareness of golf for people with disabilities. Great day, as every day playing golf with friendfs can be only Great! Drove off with the TV cameras on my fellow players showing how an amputee, a paragolfer user and a person with cerebral palsy play the game. Lots of banter and some good golf played! It was a beautiful autumn day to play golf with friends and family. I had 39 points and left a few out there. Played with three friends two of which I had not played with for several years. Had a good match off the tips and enjoyed the excellent Quinta do Lago North Course. Also burned 1,190 calories walking the course but using a trolley cart. Another enjoyable round, this time at the iconic Quinta South and another 1200 calories burned. With a friend from the morning round, we played with a Marco and Gonçalo. I had never met Marco before but he proved to be good company as was Gonçalo. A final effort to play another 18 holes, this time using a buggy to take the clubs. A two-ball with Gust who also played 54 holes that took 2 hours and 15 minutes this time off the regular tees, Only 1,067 active calories burned this time. Playing with Cae a former pro and a leading light in supporting disabled players is a great experience; lots of laughs and a great coach too!! I am completing this for Alan. Alan is a senior member and he kindly agreed to help in our initiative. I am completing this for Micky. Micky is a very active member of the club and is the Seniors' vice Captain. He has helped me on several occasions to help me play down at the club. I am completing this for Derek. Derek is a seniors member and helps me with playing out on the course. played as a 4 ball with 3 able bodied golfers. I didn't play to my usual standard but the sun was shining so it didn't matter. We play every Tuesday and Thursday. I am a below knee amputee playing of a hadicap of 18. We played a nice game of golf. The weather was ok and we had some supporters. I was out on the course with Andy Jones, I met Andy through the English DGA and we clicked straight away, like one another our injuries and disabilities came from rugby but golf is our new connection. Today was brilliant with the course playing well and the pins in tough positions, I came in hitting an 82 and -9 for the day! The weather was outstanding and we made a day with a meal at the club house after, if it wasn’t for golf I’d not be able to compete and; there’s that fire which burns with in me to do so after competing at a high level on the Rugby pitch. Today seemed more special for me as I was helping to promote a spirt that has very much saved my mental state, it’s got me meeting amazing people and competing against some extremely talented people! That’s what made today so special, being able to give back to the game that’s helped me so much. The only word I see when I read the word disability is ability... anything is possible!